Scan PRO Video is running a giveaway to gift one of their fans with a brand new action camera! 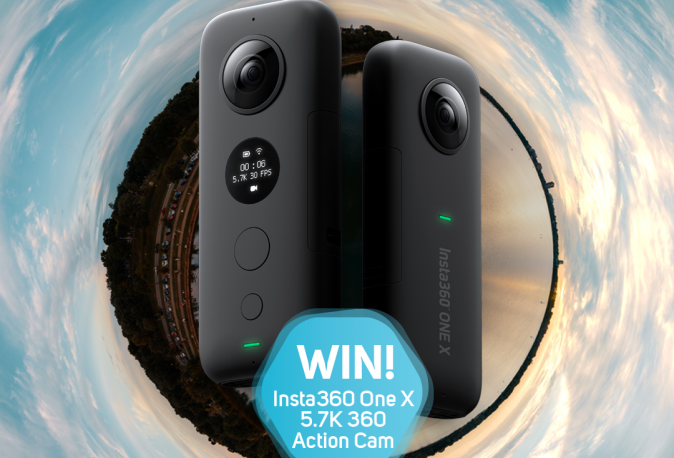 To enter in this 2nd Insta360 ONE X Action Camera Giveawaygrab your free entries by following few simple steps listed down below! Leading image quality – 5. 7K resolution makes your 360 Degree videos look sharp, while 18MP shots make for stunning photo quality. Turn on 50Fps mode to make your video buttery smooth. Flow state stabilization – flow state is as smooth as it gets. Traditional Action cameras are left shaking. Drift shots – snap into the drifter accessory and let your camera take flight. Airborne slow-mo. From a camera that shoots in every direction at once. You’ve never seen angles like this before. Wi-fi preview and transfer – Shoot and transfer in a snap. 50MB/s Cable transfer and 5 GHz high-speed Wi-Fi transfer.